Ffestiniog Travel has added new railways, tram networks and destinations to its Japan – Trains, Trams and Cherry Blossom tour for 2019. Highlights of this comprehensive 19-day escorted itinerary include a journey on the Odakyu Ltd. Express from Tokyo to Enoshima, a full day to explore the 3’6” tram routes of Toyama and Takaoka, rides on the Hokuriku Shinkansen bullet train and coastal Hokuriku Line to Fukui, and much more. Departs 19 March 2019. New escorted tours in the UK, Europe & India… plus a welcome return to the Appalachian Mountain Trails of the USA. 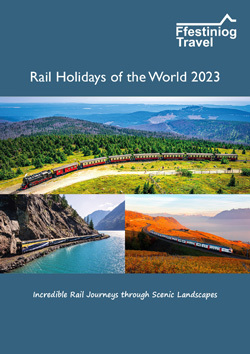 Rail holiday specialist Ffestiniog Travel has released the 2019 edition of its popular escorted tours brochure. Featuring six new itineraries, from the UK’s Lake District to India’s famous Golden Triangle, Rail Holidays of the World 2019 also features a return to the Appalachian Mountain Trails of the eastern USA… a destination that Ffestiniog Travel last offered ten years ago, in 2009. 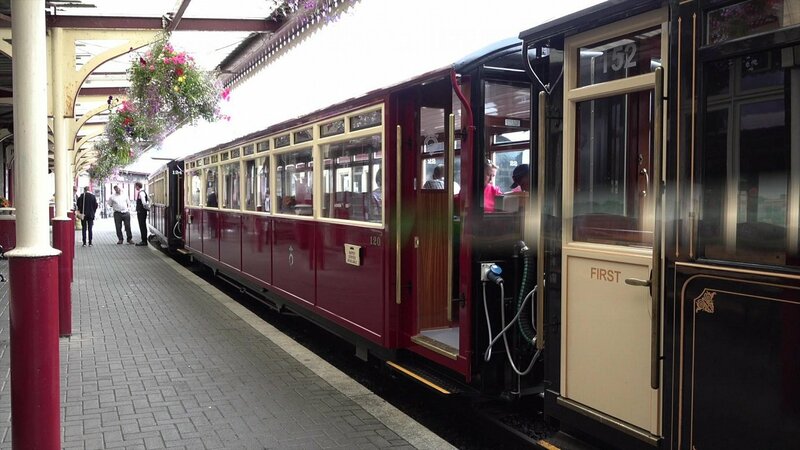 New Super Saloon Carriage Launched Thanks to Ffestiniog Travel Customers! Ffestiniog Travel was delighted to attend the launch of Ffestiniog Railway's new Carriage 120 in July 2018 - a project funded entirely by Ffestiniog Travel (FfT) at a cost of £106,000! The company has thanked customers who have travelled with them and enabled it to finance the new build. Every holiday booking boosts profits that go towards supporting the preservation of the Ffestiniog and Welsh Highland Railways (F&WHR). The latest addition to the Ffestiniog & Welsh Highland Railways' carriage fleet was built at the F&WHR's workshops at Boston Lodge in North Wales - the oldest working railway workshop in the world. The new carriage makes use of the maximum available loading gauge of the narrow and winding Ffestiniog Railway to provide more comfortable and spacious accommodation for passengers and features graphics on each table acknowledging the support of Ffestiniog Travel. The rail tour operator was delighted to be presented with a special wooden plaque, made in the carriage works, in recognition of its contribution. Escorted tour of Australia and New Zealand is one of three enticing long-haul itineraries for 2019. You can also join Ffestiniog Travel on tour to Japan and India. 2018 is the Isle of Man’s ‘Year of Our Island’, celebrating all that is great about living in and visiting what, for connoisseurs of steam travel and vintage transport, is one of the UK’s hidden gems. What better time, then, to join Ffestiniog Travel’s Isle of Man Driving Experience, a week-long holiday that goes behind the scenes of working railways and trams whilst touring this pretty island in style? Departing 29 September, the price is from £1,385 pp (two sharing) including seven nights’ B&B in Douglas, three lunches, two dinners, a three-day Go Explore ticket & five-day Go Explore Heritage ticket, excursions as per the itinerary, and tour leader.